Oh, Once Upon A Time you will continue to ruin my life. SPOILER KLAXON SPOILER KLAXON SPOILER KLAXON. To quickly recap, after giving Hades and Zelena a shot at true love, Emma takes Hades word that everyone can leave the underworld and return to Storybrooke. YAY! EVERYTHING IS FINE RIGHT?! Of course there's a catch, as Hook is dead he can't return to Storybrooke as easily as everyone else. Emma tries splitting her heart with Hook and it fails unlike it did with Robin and Regina which made us all face the harsh reality that hook was up there in Storybrooke rotting... which is a nice image for us all. Hades then happens to state a way that could bring Hook back to life, by getting hold of some ambrosia and proving that what Hook and Emma have is true love... and it failed because the tree had been cut as Hades is a you know, Lord of the underworld so WHY did anyone trust him?! After all they've done (a whole 9 episodes worth) to bring Hook back, the realisation that even their love can't save them is all too present. Hook proceeds to let Emma go, even though he loves her and this is where every viewer's heart hurt a bit. 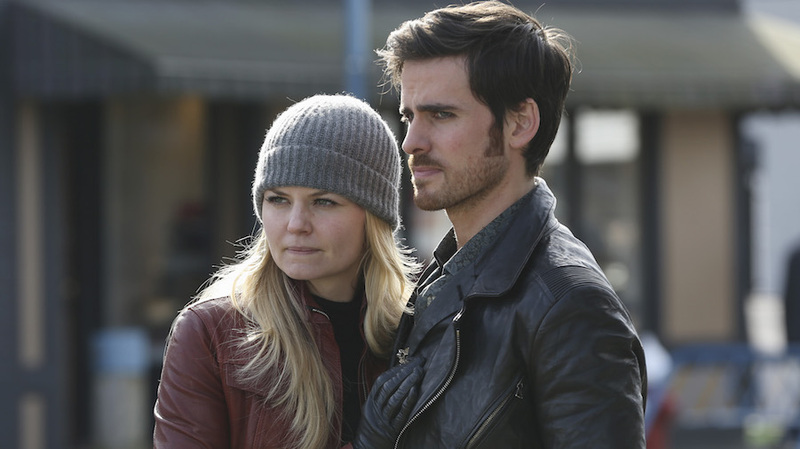 Hook and Emma's relationship has been a fan favourite and it's clear why. First off, their attraction is undeniable and THE TENSION. When they first meet, in a cliché way Emma doesn't trust him and knows he's bad news so naturally ties him to a tree. Then comes the beanstalk where Emma injures her hand and Hook treats it with his mouth as he only has one hand. Clue's in the name really. It was all a bit steamy... pirates eh? The chemistry between the two builds over time and they tend to trip and fall onto each-other a lot and casually have a sword fight. FLIRT CENTRAL. They have a kiss and we all collectively screamed FINALLY, whilst Emma insisted it would never happen again. In season three we saw them grow closer, Hook spends more time with Henry and Emma learns he gave up his ship for her, I repeat HE GAVE UP HIS SHIP. They do some more kissing and we all fall in love with them more as we go into season four and they become an actual couple. Whilst Hook was running around being the dark one seeking revenge on Rumple, Emma in an attempt to save Hook from not only Rumple, but himself sacrifices herself by channelling all of the Dark Ones into herself. Hook then sacrifices himself by convincing Emma to stab him with Excalibur so he can consume all the darkness and she will be free of it. Whilst sobbing (along with the rest of us), she transforms back into her trademark red leather jacket and becomes the saviour once again and gathers everyone to go to the underworld to save Hook. After running around the underworld, Hook is found and Emma free's him from his imprisonment by Hades bringing us to where we are now, emotionally bruised with Hook letting Emma return to Storybrooke without him. He knows his fate and wants her to move on. However Emma begs him to allow her to be his unfinished business to prevent him to move on from the underworld leaving a glimmer of hope for them. What I begrudgingly love about this scene is that it questions whether some relationships, no matter how much you love and fight for someone, it sometimes just doesn't work. In a show based off of happy endings and fairy tales, it brings some reality and to face facts. Hook is dead and has been for a while. Emma fought her hardest and tried everything she could and it still wasn't good enough to save him. Personally after this whole storyline, I expected it to work because you want them to work that's why it worked so well as a shocker and cliff hanger. The reason why I'm so mad at the writers for this though is you want Emma to have the happy ending. You want it to exist. You're really rooting for these two because they are so right for each-other and THEY LOVE ONE ANOTHER IT'S JUST NOT OKAY. I have some hope that they will find a way to reunite Captain Swan before the end of this season but I feel that could be false hope but please OUAT gods, make it happen. Either way, I'm still mad over it. SO MANY FEELS :( i'm a huge Once fan too, and I have to say I was disappointed that Emma has to let Hook die. But who knows? Writers have a way of tricking audiences and may give us hope again - crossing my fingers for a huge twist involving Hook to come back alive! I can finally read this but I realised I could have all along haha! This season was WAY too emotional but I'm so glad about the turnout of this season for the most part! Some of those GIFs made me sob internally! I'm kind of annoyed they are bringing back the evil queen again?! What do you think? ?